Cameco recently helped bring Michael Landsberg's #SickNotWeak mental health initiative to a number of Saskatchewan communities. 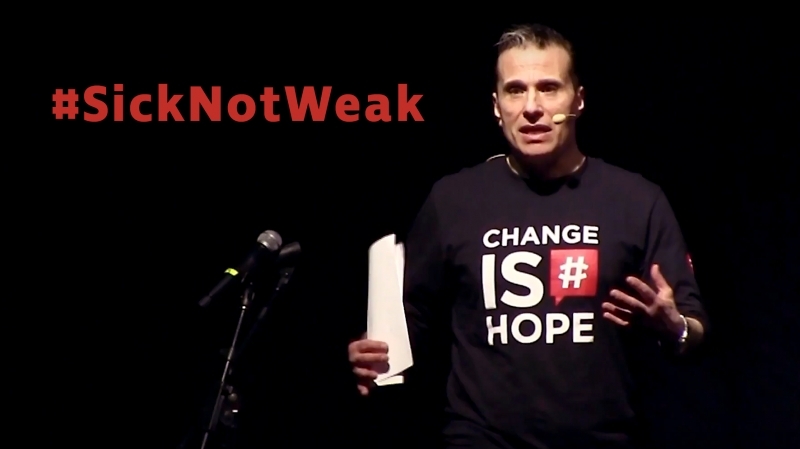 TSN’s Michael Landsberg brought his #SickNotWeak mental health initiative to a number of Saskatchewan communities on March 15-16. The feature event took place at the North Battleford Civic Centre on March 15, where 2,500 people heard Landsberg share his struggles with mental illness for more than 20 years. The #SickNotWeak tour also made stops in Shellbrook, Fond du Lac and Cameco’s Cigar Lake mine.